Rachel Weiss Maron is a member in the Phoenix office of The Cavanagh Law Firm. Ms. Maron’s practice focuses on human resources issues and employment litigation. She advises and represents public and private employers and employees in matters involving discrimination, sexual harassment, employment contracts, wage and hour claims, non-compete and confidentiality agreements, whistleblower lawsuits, and terminations, including matters arising under the Americans with Disabilities Act (ADA), the Family Medical Leave Act (FMLA), Title VII of the Civil Rights Act, the Fair Labor Standards Act, the Arizona Wage Act, and various other State and Federal employment laws. She also drafts employee handbooks, provides in-house training, and frequently assists with administrative proceedings, including EEOC charges, Department of Labor audits, and unemployment claims. 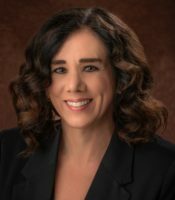 Ms. Maron is a contributing author to the Arizona Employment Law Handbook and has been a member of the Editorial Board. She also presents seminars on various employment-related topics to human resources professionals and business owners. Ms. Maron graduated from the University of Texas School of Law in 1994. Prior to law school, she graduated with Honors from the University of Texas at Austin in 1991 with a Bachelor of Science in Liberal Arts. Ms. Maron can be reached at (602) 322-4125 or rmaron@cavanaghlaw.com.